This scrolled through one of my networks and I wanted to share it in its entirety here. If you were a public school and Wall Street didn’t like you that might not seem like such a big deal. What do financiers know about educating children? It’s a big deal, however, if you are K12, Inc., and enticing investors to buy into your low-cost, high yield “cyber school” idea is key to your bottom line. At K12, Inc.’s stockholder meeting in December, its own investors criticized the schools’ lamentable academic performance and voted down its executives’ proposed salary increases. This is just the latest piece of bad news, which has been coming in rafts for K12 since 2013. As K12’s executives were being rebuffed by stockholders inside the law offices of Latham & Watkins, in Washington, D.C., outside K12 was picketed by members of the California Teachers Association for more or less the same list of educational shortcomings, as Diane Ravitch noted. Some editorial boards crow when they receive criticism from two opposing sides of a controversial issue. “If both sides are unhappy we must be doing something right” is the familiar refrain, as if there are only ever two sides to an issue or the sides have equal merit. In its recommendation that shareholders vote against the pay proposal, the advisory firm Glass Lewis & Co. said K12 exemplifies a “substantial disconnect between compensation and performance results.” Glass Lewis gave the company an “F” for how it paid its executives compared to peers. In all, K12’s five highest paid executives received a total of more than $12 million in compensation last year. That’s one of the reasons CMD has called K12 Inc.’s former CEO, Ron Packard, the highest paid elementary and secondary school educator in the nation. Nearly 90% of K12’s revenues–and thus its huge pay for executives–comes from Americans’ state or federal tax dollars. 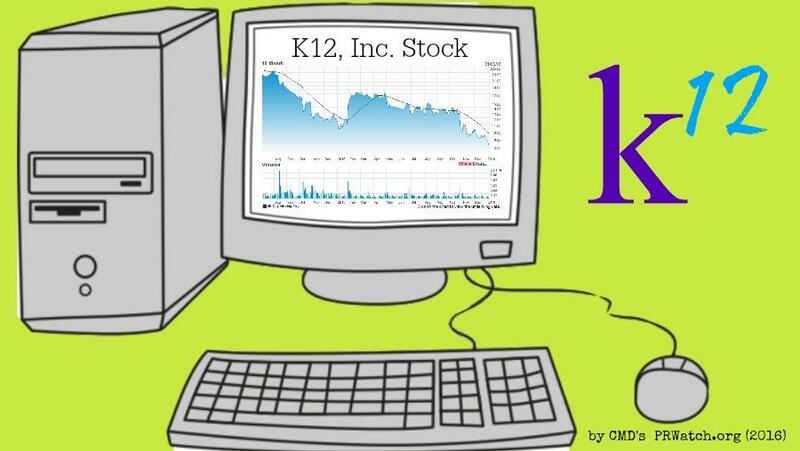 While K12’s promoters love to mention that it is a publicly traded company, it is also trading at its lowest stock price since 2010, down 75 percent from its September 2013 peak. Meanwhile, a new report from Stanford University’s Center for Research of Education Outcomes (CREDO) found that online charters do a very poor job of educating children. 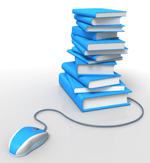 In general, students in online charters lose 42 days of reading in a year, and 180 days of instruction in math. And there are only 180 days of instruction in most public school years. Enrollment has also dropped almost 5 percent from its peak. No less a business authority than Bloomberg Business investigative reporter John Hechinger presented grim prospects for K12 as of late 2014, and no one has revised them upward. This decrease in business has come despite massive advertising and marketing expenditures by the virtual schools industry. K12 has spent untold millions in public funds on ads—a luxury budget item that traditional public schools are not permitted even when competing with K12 for students. It spent at least $20 million on ads in 2012 alone, but it has not publicly disclosed ad spending in recent years even as its ads have become more ubiquitous in markets like Wisconsin and Arizona, for example. K12 does not disclose its ad budget in its public annual report. K12 also spends taxpayer money lobbying state and federal officials. It recently got a seat, for example, on the corporate board of the American Legislative Exchange Council (ALEC), where for years it has also paid for a seat and vote on ALEC’s “Education and Workforce Development” Task Force, which advances a “cash for kids” lobbying agenda. ALEC corporations spend tens of thousands of dollars each year for such access to lawmakers, and K12 has also paid many thousands of dollars to underwrite some of ALEC’s docket of events for legislators and lobbyists. Through the ALEC Task Force, K12 has actually had an equal vote with state legislators on so-called “model” bills to divert taxpayer funds away from traditional public schools toward the objectives of ALEC’s private sector funders, to help their bottom-lines and/or legislative agenda. ALEC’s “Virtual Public Schools Act,” for example, even allows virtual schools to be paid the same amount per pupil as traditional public schools even though operations like K12 have no bricks and mortar school house or desks or air-conditioning or gyms, etc., to maintain. K12’s reps at ALEC Education Task Force meetings have been its Senior VP for Government Affairs (lobbying), Bryan Flood, along with its VP for Government Affairs, Don Lee, and its Senior Director of Government Affairs, Bob Fairbank. Notably, Lee and Fairbank are both former Colorado state legislators who took the revolving door out of public service into well-paid gigs, like peddling what K12 is selling to legislatures across the country. And, the head of their lobbying shop, Flood, is the former flack for then-Gov. John Engler of Michigan, who is now pulling down big bucks for sitting on K12’s Board of Directors: $55,000 in cash plus $100,000 in K12 stock for a few hours of his time last year. 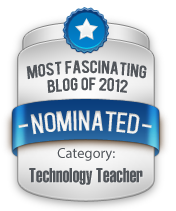 Making “Friends” Everywhere K12 Goes…. Utah, Arizona, and Wisconsin are not the only states where K12 is active and facing criticism. The “Ohio Virtual Academy,” for example, which accounted for 10 percent of K12’s revenue in 2014, received failing grades on a state report card for student test-score progress and graduation rates. A state analysis found that only 37 percent of K12’s Ohio ninth graders earned diplomas within four years. Altogether, K12 has lost management contracts or been threatened with school shutdowns in five states. The National Collegiate Athletic Association (NCAA) also ruled last April that prospective students from 24 K12 Inc. high schools can no longer count credits toward athletic scholarships. A pro-union decision by the California Public Employment Relations Board no doubt came as more bad news for K12’s brass. The board ruled that the California Teachers Association (CTA) is the exclusive bargaining agent of the more than 750 teachers at the Simi Valley-based California Virtual Academies (CAVA). Teachers have been seeking a stronger voice in improving working conditions and student learning for CAVA’s 15,000 students. CAVA teachers had been calling for improvements for years. In March 2015 a study of CAVA by ITPI called for better oversight. In June 2015, CTA filed complaints with school districts that authorized CAVA charters throughout California. K12 Hoping “Non-Managed” Schools Will Save It? While no one is publicly calling for K12 to shut down, K12 itself is “diversifying its portfolio” in an apparent effort to ease out of the online charter school business. K12 has built its brand by operating “managed schools” in which K12 runs and profits from all of the programs at a particular K12 school. In a managed school, the company does all of the teaching, curriculum, assessment for the customers—er, students—who choose it over attending a public school or participating in a traditional home-schooling arrangement. 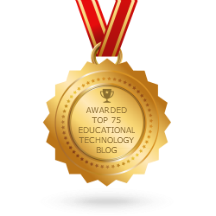 The new revenue stream K12 is pioneering is in what it is now calling “non-managed schools” in which K12 sells the digital content and platform for a school for some other company or entity to run (and be responsible for the results). Non-managed programs have been growing by leaps and bounds as managed virtual schools have fallen on hard times. The only problem with this model is that managed schools still bring in much more money than the non-managed kind. Some managed schools, for example, bring in $1,849 per student while non-managed schools bring in only $462 per pupil on average. But, getting some revenue without being responsible for results may be the way for the future of K12: an analysis of K12 figures comparing September 2015 to the prior year showed that enrollment at “managed” virtual schools was declining 12 percent while it is increasing 34.5 percent at “non-managed” schools. Non-management could take profiting from taking money out of traditional public schools without real accountability to a new level for K12. CMD’s Executive Director Lisa Graves contributed research to this report. Dustin Beilke is a freelance writer from Madison, WI. He has written for a number of publications, including Newsday, Salon.com, The Nation, PRWatch, The Progressive, In These Times, Mother Jones, The Capital Times, and The Onion.